It is suggested that Tanzanite helps us to communicate our visions to others. 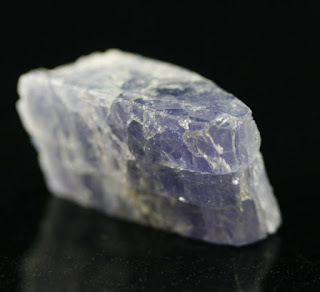 Tanzanite can help stimulate the crown chakra to bring forth visions from the higher realms and ancient tribal communities located throughout the world. Tanzanite has been called the "Stone of Magic" helping bring perfect balance of our personal power and to bring it to actualization. It can be used to help calm the overactive mind. Tanzanite can help lift the spirit and open the heart. It has been said to help release insolence and wanton behaviour and prevent thoughtless deeds. Tanzanite can help stimulate the throat, third eye and crown chakras, bringing together all the aspects of communication, both verbal and psychic abilities.